Know The Different Types Of Lathe Machines - Trishtha Industries Pvt. Ltd.
Lathe machines are tools that are used to produce objects having correspondence about an axis of rotation. The tool rotates in order to perform a number of operations, such as sanding, cutting, drilling, knurling, wood turning, metal working and so much more. 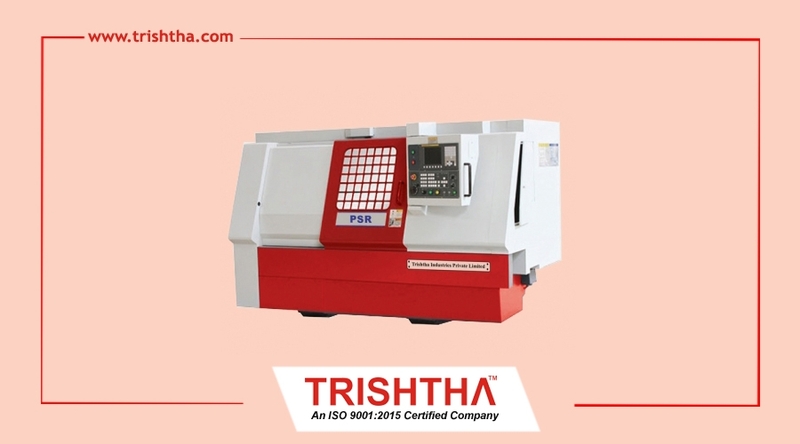 If you are looking to purchase a lathe machine, Trishtha is the perfect place to look. As one of the premier lathe machine manufacturers in India, we rounded up the types of lathe machine for your convenience. Light duty lathe machine: Light duty lathe machines are generally available in small size, showcasing a swing of ten inches or less. These machines are largely used in automobile, electronic and electrical industries. Medium duty lathe machine: The medium duty lathe machines are consisted of grained cast iron. Even under heavy load and high pressure, these machines are capable of providing the best performance without any vibrations. Heavy duty lathe machine: Our heavy duty lathe machines are made with the use of top-notch quality grades of metal like, iron and steel. These machines are capable of carrying out tasks seamlessly, such as surfacing operations, sliding and cutting. Extra heavy duty lathe machine: Extra heavy duty lathe machines are considered to be extremely efficient. Our machines are mainly used in ship building, steel and paper mills, textile and mining mills. If you are on the lookout for a more advanced version of lathe machines, you can turn your attention towards CNC lathe machines. These machines are well-known for their higher production and low cost. These machines are used in automobiles, electronics or electrical. In case you are a bit confused regarding which lathe machine you need to purchase, Trishtha is always here to help you. Our friendly and amiable team of professionals will give you an expert and honest opinion. Since we are the top-most lathe machine supplier Kolkata, you can be rest assured that we will only be delivering quality product at your footsteps. So, get in touch to discuss your requirements and do not hesitate to request for a quote.